I love to travel, and part of the joy of traveling is meeting new people, experiencing new cultures, and seeing amazing parts of the world. 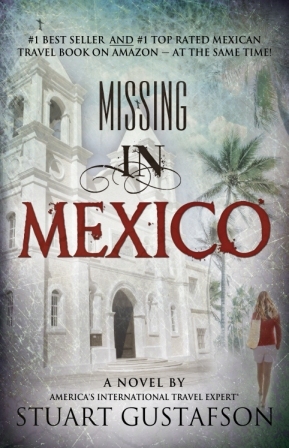 My novels are an extension of those travels where I introduce the readers to someplace fun and exciting, and I hope to spur their interest in wanting to go and visit. Using actual places makes the settings more real, adding to the credibility of the fictional stories. Buy the printed book directly from the author – Price $15.00 — just click the “Add to Cart” button — you don’t have to be a PayPal member to use this service; use your credit card and earn points or miles. Once you open the file, you can download it to your own computer if you want, or you can just read it as you’ve opened it. There is nothing you have to buy; there is nothing you have to sign up for; you don’t even have to send me your email address. Just read the short story, and I hope you enjoy it! 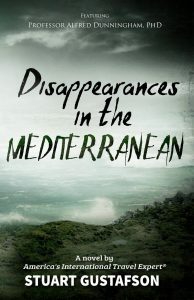 And if you do enjoy it, then there are three novels set in exciting places around the world (Sydney, the Mediterranean, Paris) where the math professor helps solve mysteries. Three murders in one week take place in high-profile locations around Sydney, NSW, Australia. There’s no evidence of struggle and each victim has a similar tattoo. The front page news each days makes the Police Commissioner desperate to make an arrest. 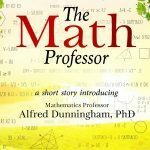 Mathematics Professor Alfred Dunningham, PhD, famous for his seminars “Detective Work Made Easier Through Mathematics,” is brought in to help make sense of the pieces of the puzzle. The police apprehend their suspect and the newspaper headlines announce it. Another body is found; it fits the pattern as the previous killings. Do they have the real killer? The math professor knows and it’s shocking when he names the killer. 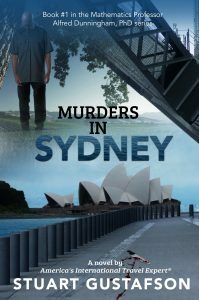 I’ve been to Sydney, Australia, about ten times; several of the visits were specifically to conduct research for this book. If you’ve been to the CBD, the Rocks area, or the Gardens — then you’ll recognize the familiar places. Also, during one of my visits I discovered a security flaw on the Sydney Harbour Bridge — it’s revealed in this book! 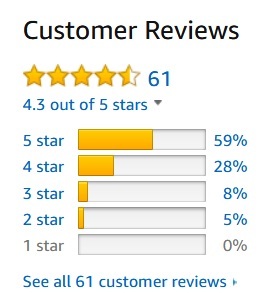 Buy the printed book directly from the author — Price $15.00 just click the “Add to Cart” button — you don’t have to be a PayPal member to use this service; use your credit card and earn points or miles. 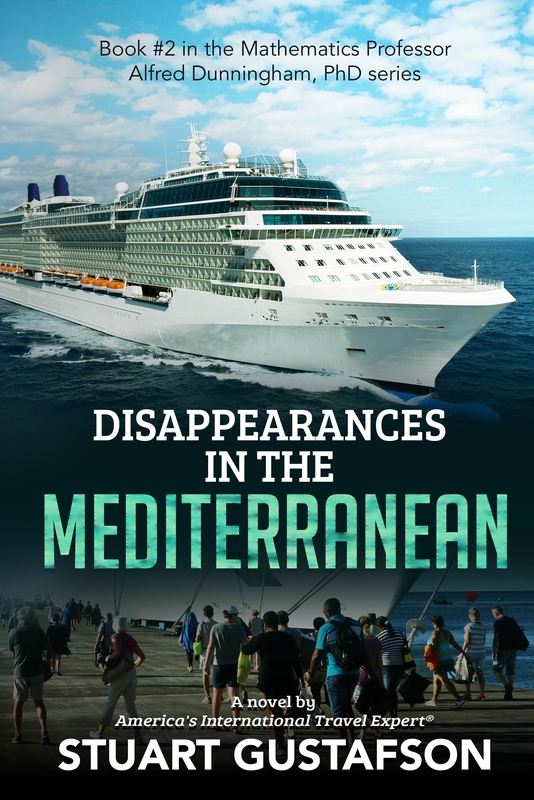 One passenger on a cruise in the Mediterranean Sea is disappearing after each day in port. Cruise line security is beefed up, and Interpol is brought on board to investigate. Nothing unusual is found, although one of the investigators thinks he’s found a mathematical connection. Professor Alfred Dunningham, in Paris at a math symposium, is toasted for his work in solving the Famous Sites Murders in Sydney, Australia. He’s called; the pleadings work, and the professor and his wife fly to meet and board the ship. There is some similarity to the Sydney case, but the Professor dismisses that notion—“Too obvious; would look like copy cat,” he says. Can he solve the mystery before the end of the cruise? 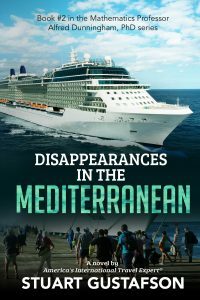 I’ve been a guest speaker on cruise ships, visiting six continents; writing about a cruise ship in the Mediterranean Sea is easy because I’ve been there many times. Most of the descriptions in this book are factual; it’s the story line that’s fictitious. The truth is that cruising is probably the safest form of travel with sixteen million cruise passengers per year. I’ve enjoyed all the cruises I’ve been on, whether it’s as a speaker or as a regular passenger. Buy the printed book directly from the author – Price $15.00 – just click the “Add to Cart” button — you don’t have to be a PayPal member to use this service; use your credit card and earn points or miles. Art Thefts in PARIS — A seemingly well-organized series of break-ins occurred on the same night there was a city-wide museum workers’ strike in Paris, France; a coincidence or an opportunity? 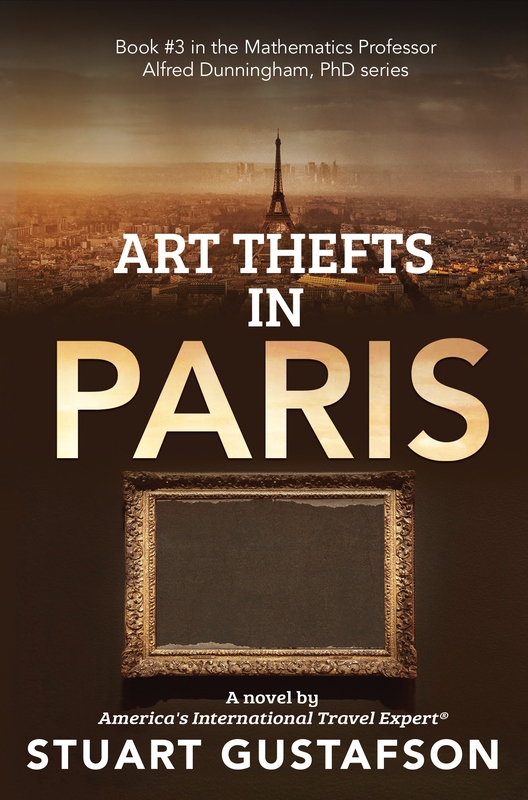 The famous Musée d’Orsay was hit the hardest with most of their van Gogh paintings and Degas bronzes taken from their “theft-proof” frames and cases. Then the artwork was being sent back, and there were Greek letters painted on them. Why would they be returned, and what did the Greek letters mean? 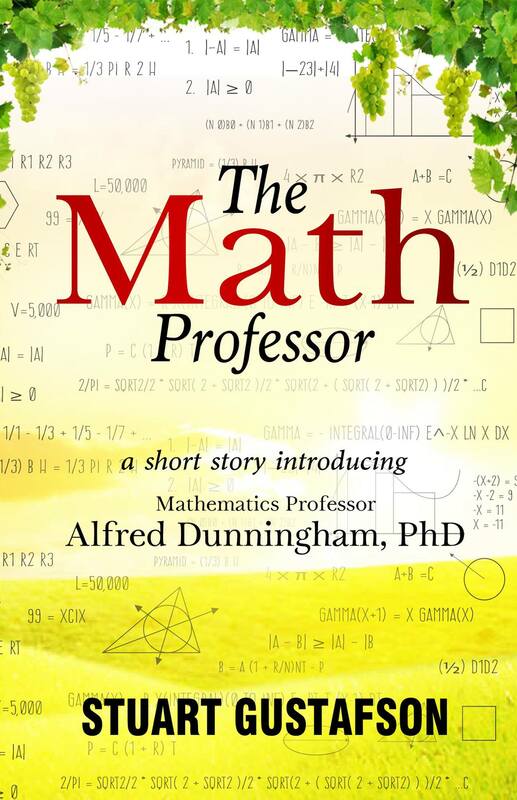 Mathematics Professor Alfred Dunningham, PhD, noted for solving mysteries with mathematics, is brought to Paris. 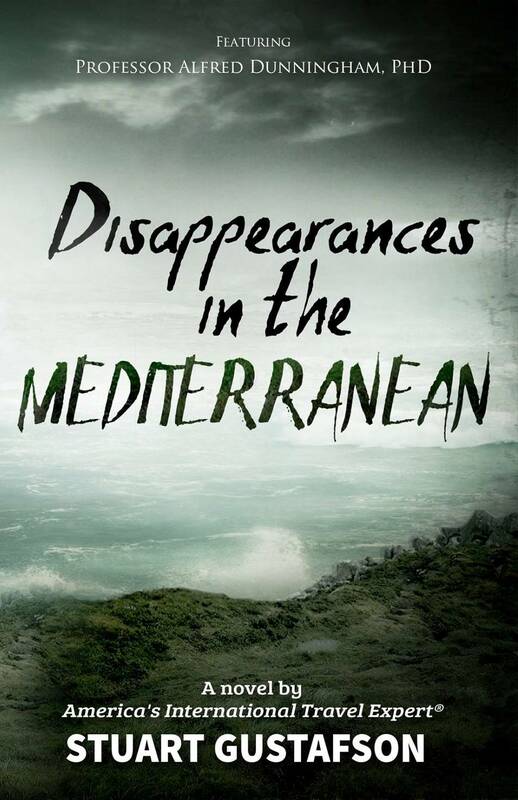 He determines that the Greek letters also mean numbers, leading him to a special 11-digit sequence, and the French National Police rush to the Pere Lachaise Cemetery where more bronzes were found. The Police know whom to nab, but their suspect is nowhere to be found; was some advance notice given? Buy the printed book (280 PAGES) directly from the author — Price $15.00 — just click the “Add to Cart” button — you don’t have to be a PayPal member to use this service; use your credit card and earn points or miles.